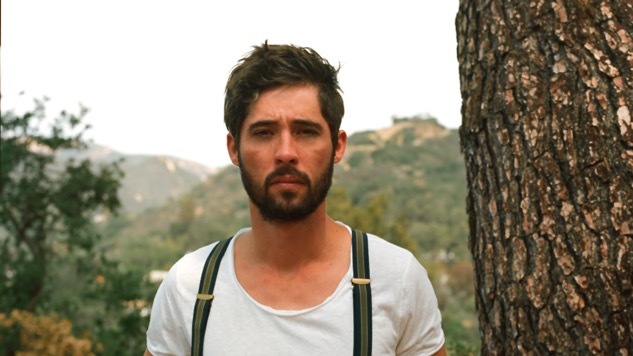 Ryan Bingham is about as close to a modern-day cowboy as you can get. From his youth in rural Texas, finding his voice in tiny, beer-soaked bars to riding bulls and a life on a seemingly never-ending road, Bingham has the cuts, scrapes and scars of someone who has put in the work and come out on the other side. His newest album, Fear and Saturday Night, reflects the struggle, but more so his fortune of getting past it. But, hey, this is a Ryan Bingham record we’re talking about, so don’t expect that grin to get too wide. Paste : I think it’s the first time I get to say these words when talking about a Ryan Bingham album, but Fear and Saturday Night is a really fun record. As fun as a Ryan Bingham record can be. Ryan Bingham: Ha! Thank you very much. Paste : I’ve heard you talk about it a little bit, I think you used the word lighter. “It’s a lighter record.” For any style of country, or Americana roots, that’s kind of a dangerous word. Paste : That means the bad and the good. Bingham: You can’t sugarcoat it all the time. Life has its ups and downs, and everybody has them. It’s like being hopeful and optimistic but not ignoring the harsher side of reality as well. Paste : It’s funny that you say sugarcoating, because it’s almost like the opposite for you. Not that I’m trying to make you out to be the Morrissey of country music by any means, but there has always been that side. You’ve got a song called “Depression.” And while this album is different, it does start out with “Nobody Knows My Troubles,” so it’s not a complete change. It’s not like you start off with a big smile and away we go. Paste : You talk about life and living, and I guess that’s what you have to do. You have to get out there and live between records. Is that how your writing process works? You don’t just sit down and hammer out an idea, but to take that time and figure out what your life is going to be? Bingham: Yeah, just having the time to have those experiences. Get out on the road and travel and develop those stories as you go. That’s just the way I’ve always gone about it. The way that’s really comes natural to me is just get out on the road for six months or a year or so and then go home and write about what happened out there. Paste : But they’re not exactly road records. Some bands get out and life becomes the road, so that’s what you get from their record, but that doesn’t happen with you. Bingham: You know, I go out on the road to gather thoughts and have experiences, but a lot of it is having the time to contemplate your life and think about things and not really live in each moment writing it down or live through videotaping every moment. I try to give myself some space and time to think about stuff. What it’s about more than anything is having that time to reflect all this stuff that’s going on. Paste : It sounds dangerous being stuck in your head like that. Bingham: I’ve always been like that. I zone out a lot. I don’t know why it is. I’ve always been that type of person. Paste : Listening to the way that you get to see the country and the people around the country, on the other side of things, I look at the news and people are so divided. Taking these instances city by city, person by person, do you get a feeling of that? Bingham: Big-time. You’re exposed to so much so fast every day. You wake up in a different town, state, country, see stuff happening on the news and a lot of time you’re in the city that it’s happening. You wake up and see it firsthand and talk to people who were there. You hear the stories of what people are going through on the scene. And you’re right, it’s very divided out there, split so many ways. I think lately more than any other time in my life, I’ve really been conscious about songs that really try to bring people together rather than divide them, especially if you’re talking about social issues. There’s a really fine line. Are you trying to engage conversations about a topic or are you really splitting people up and preaching to your own choir? It’s something that I think about a lot. Paste : How do you do it then? When you have one of those hot-button issues, how do you find the part that brings them together without preaching to your own choir or against? Bingham: I think you just have to have respect for other people and other people’s beliefs. Paste : What a concept. Bingham: Yeah! You try to put yourself in other people’s shoes as well. Trying to bring about a conversation about a thing, find some common ground that people can stand on no matter what side of the coin they’re on. Paste : Does this have anything to do with the Fear in the album title? Paste : I’ve read you talking about “Gunfighting Man,” which isn’t a political song, but with everything going on with the gun control issues, does the song speak to the issue whatsoever? Bingham: I’ve always been a fan of old western movies, Marty Robbins, gunfighter ballads, that’s really where that song came from. Just kind of a cowboy song that really didn’t have an agenda. Paste : It’s one of those times where people start looking into songs where there really isn’t anything like that to find. Bingham: I guess it’s an example of a song touching on certain issue that doesn’t have an agenda, or that pits one side against the other, but instead a topic about a story about something that happens. People can relate to that in their own way. Even if I wrote the song to be about a hundred years ago, it can still apply today in some ways. Watch Ryan Bingham perform “Hallelujah” in the Paste office in 2011 in the player below.